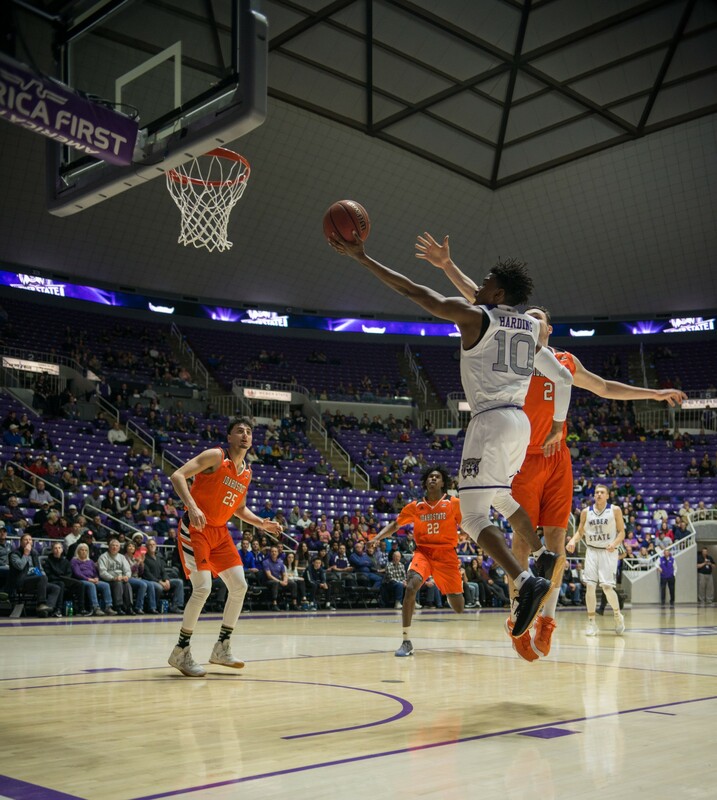 Jerrick Harding poured in 28 points, and Brekkott Chapman secured a double-double to lead the Weber State University men’s basketball team to a 76–59 victory over Idaho State University on Jan. 17 at the Dee Events Center. The win came with Utah Jazz star Donovan Mitchell in attendance, among other teammates. Harding, the junior point guard, scored over 20 points in a game for the ninth time this season. “I just have to come out and be aggressive and do whatever for my team,” Harding said. The Wildcats opened up the game on fire, scoring seven points on three consecutive makes from the field in the first two minutes of the game. The Bengals quickly recovered, and the ‘Cats found themselves trailing 14–10 at the 15-minute mark. 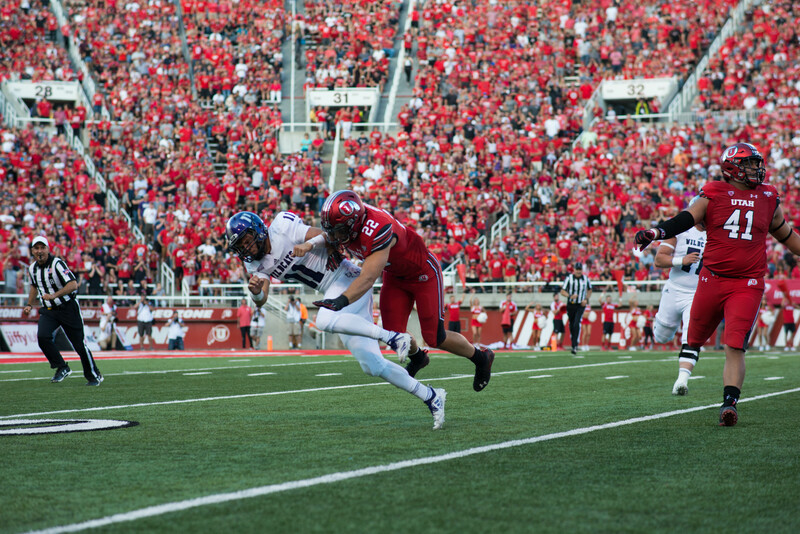 The high-powered offense slowed down on both sides, but WSU soon gained control of the game. Harding drove on three Bengals in transition for a crafty layup. Moments later, senior forward Chapman faked out his defender, driving baseline where he finished strong on a two-hand slam. He converted the free throw, which gave the Wildcats a 27–25 lead with five minutes left in the first-half. 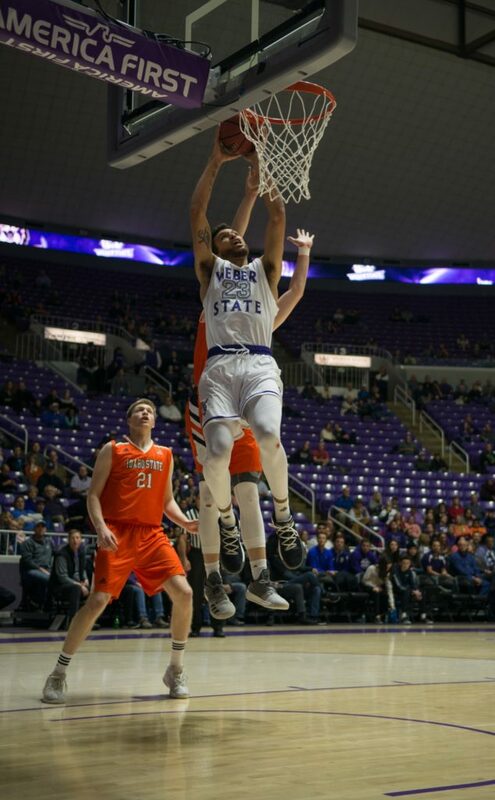 As the half came to a close, Chapman started to deny any layup Idaho State attempted, and Harding found his groove. With 4.4 seconds remaining, Harding caught an inbounds pass and took the ball to the other end, pulling up for a three-pointer at the buzzer to give Wildcats a 39–29 advantage. 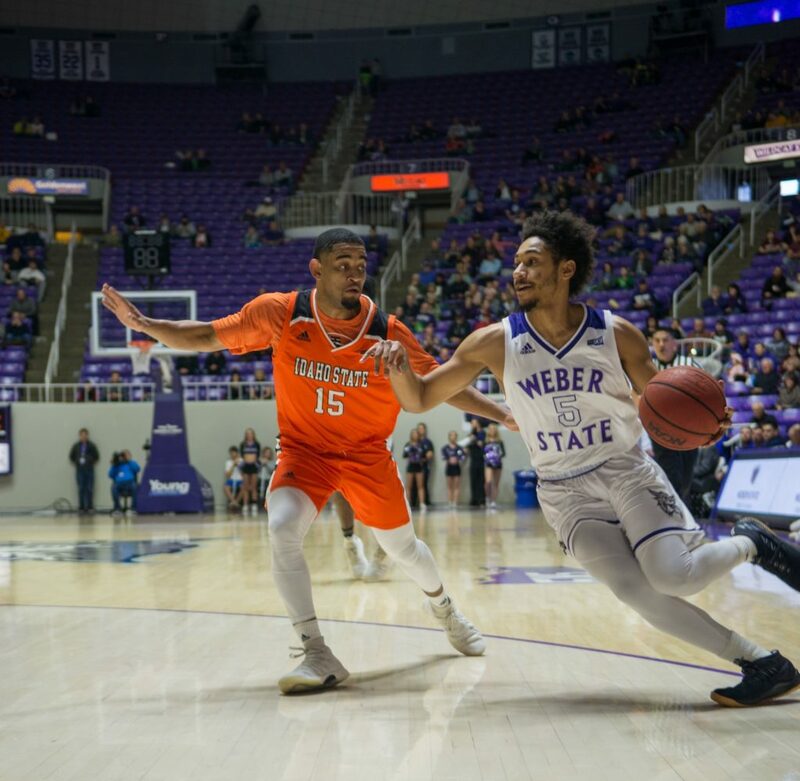 Early in second half, the Bengals were struggling to stop Weber State. They found themselves trailing 49–37 with 16 minutes left. At this point in the game, the Bengals had only 17 more points than Harding alone. 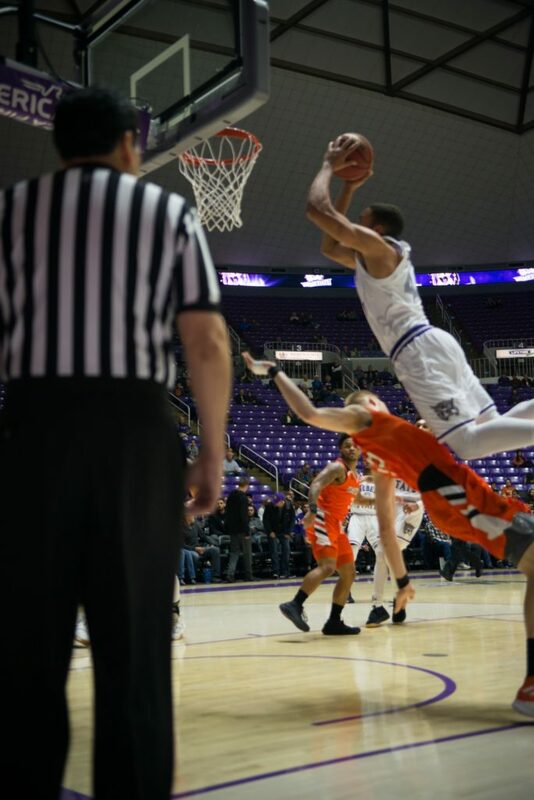 Idaho State found a spark and briefly cut the Wildcats lead to six points, but again, the hosts had an answer. Freshman guard Caleb Nero connected on back-to-back jumpers to give the ‘Cats a 12-point lead with just over five minutes remaining. 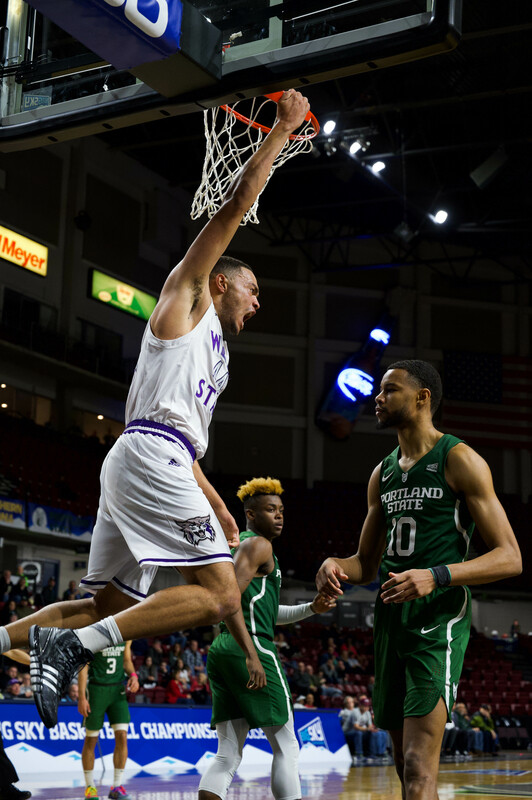 WSU was able to milk the clock and finish off the eventual 17-point victory to move them to 5–1 in the Big Sky Conference, a half-game behind first-place Northern Colorado. The Wildcats shot 54 percent from the field while also playing solid defense. 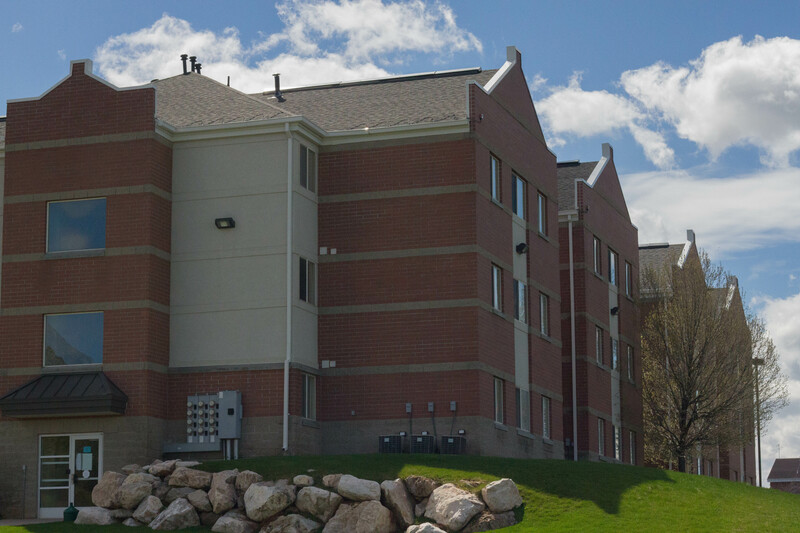 Idaho State came in ranked 27th in the nation in three-point percentage yet went only 6 for 26 in Ogden. WSU head coach Randy Rahe was also pleased with his team’s defensive effort.